I hate publishing the lists of trout stockings in spring and fall because I know plans change. I have helped with a fish stocking or three in my career and I know that things do not always go as planned. . . .
LINCOLN, Neb. – Catchable-size rainbow trout will be stocked in three Omaha waters Oct. 16. The Grove Trout Rearing Station in Antelope County will stock 450 trout at Hitchcock Park Pond, 300 at Towl Park Pond and 3,750 at Standing Bear Lake. The stockings at Hitchcock and Towl parks were scheduled for Oct. 15, but snow in Omaha over the weekend left the grass wet in areas where the stocking truck would have to drive. Trout are being stocked in city ponds and lakes across the state by the Nebraska Game and Parks Commission to enhance fishing opportunities this fall and winter. In addition, I can also tell you that because of weather and staffing challenges we have some stockings in far southeast Nebraska that might be re-scheduled later this week, but I do not know for sure right now. More information may be coming later. Now, I know there are some of you reading this and thinking this little news update does not affect your waters, where you are fishing, but wait, there is more! 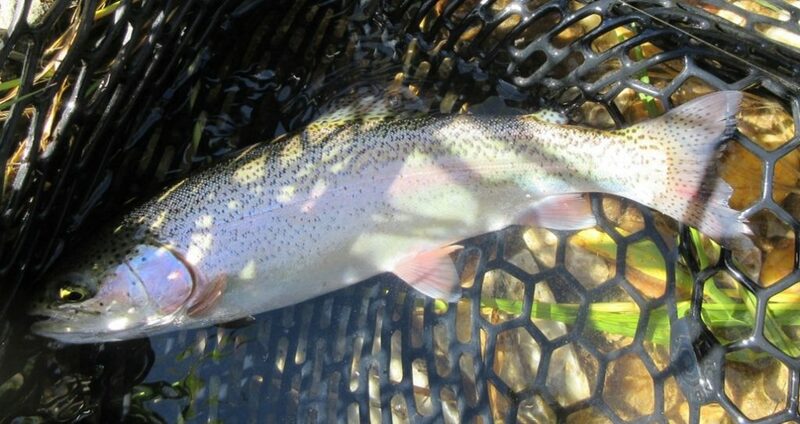 I have something else to add to this blog post, something of interest to every one. . . .
Jerry Kane in our communications division wrote a story detailing the production and delivery of the put & take trout. 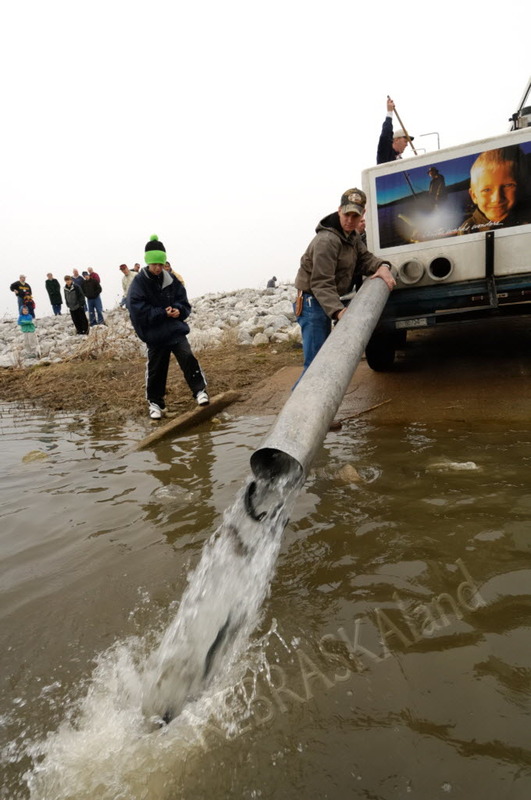 That story ran in the Lincoln Journal Star this past weekend: Stocked Trout Take 11-Month Journey to Lakes. Click the link, take a few minutes and read it!